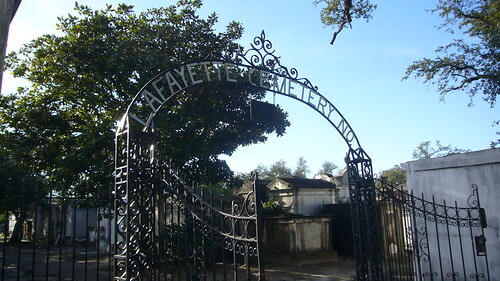 As a fan of the first five books from “The Vampire Chronicles” by Anne Rice, I wanted to dedicate some lines to the famous cemetery which is present in some of her novels: the Lafayette Cemetery. 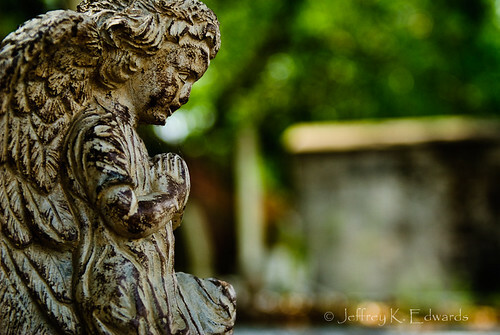 As the writter grew up and spent much of her life in the neighborhood that is home to the cemetery, she reflected on her books this special scenario she knew so well. 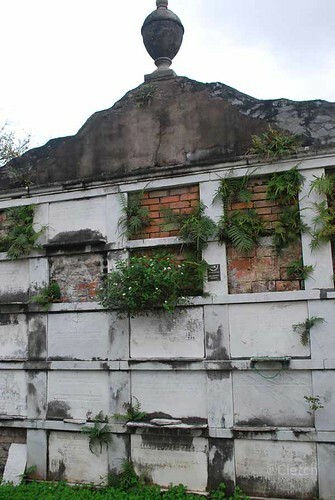 Founded in 1833, the Lafayette Cemetery nº 1 (Washington Avenue and Prytania Street) was established as the municipal graveyard of the city of Lafayette. 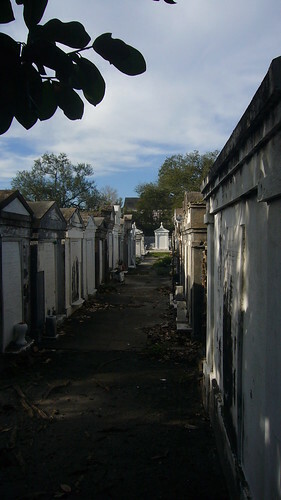 Later, in 1852, Lafayette was annexed to New Orleans, and the cemetery became part of the tumultuous history of the city. Built upon once was the Livaudais plantation, Lafayette was designed as a perfect square in the middle of the New Orleans Garden District, a neighborhood known for its magnificent villas and its exuberant vegetation. Some of the tombs belonging to wealthy families of the time are made of marble, adorned with elaborate details that rivaled with the beautiful architecture of the neighborhood. But there are many simple tombs too, built of adobe. Because of its extension, this cemetery it’s an authentic “City of the dead”. A warning to future visitors to the cemetery: the travel guides advice not to go alone by its labyrinthine alleys forming the tombs. There are many tours to make the visit. I don’t know personally if this is an exaggeration, but “better safe than sorry”.